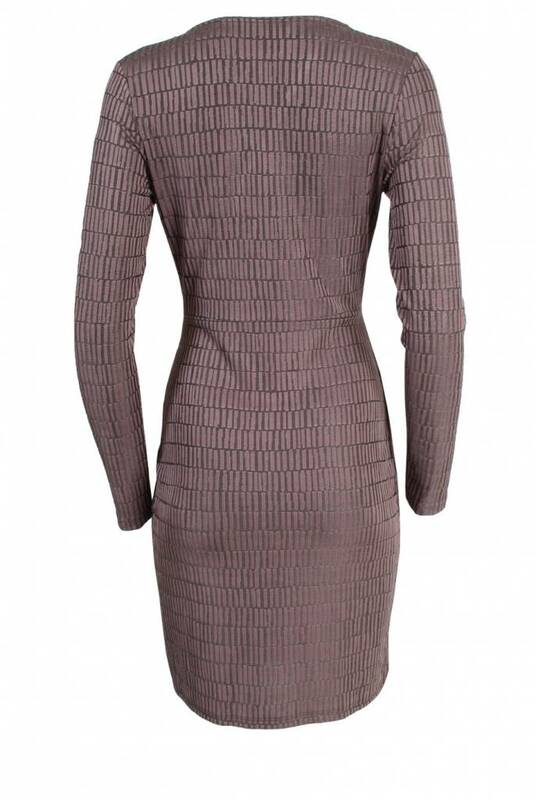 Elegant stretchy dress Linear Jazquard Dress Tyrian Rose van French Connection. 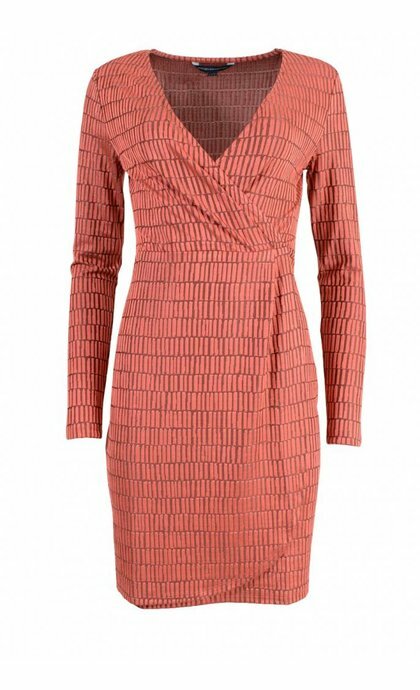 The dress has a V-neck, long sleeves and wrap-details in front. The fabric has a subtle shimmer with structured rectangular shapes.